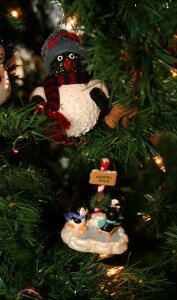 I have been collecting penguin ornaments for close to a decade now. 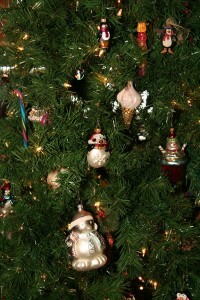 I find a few new ones each year and add to my collection. 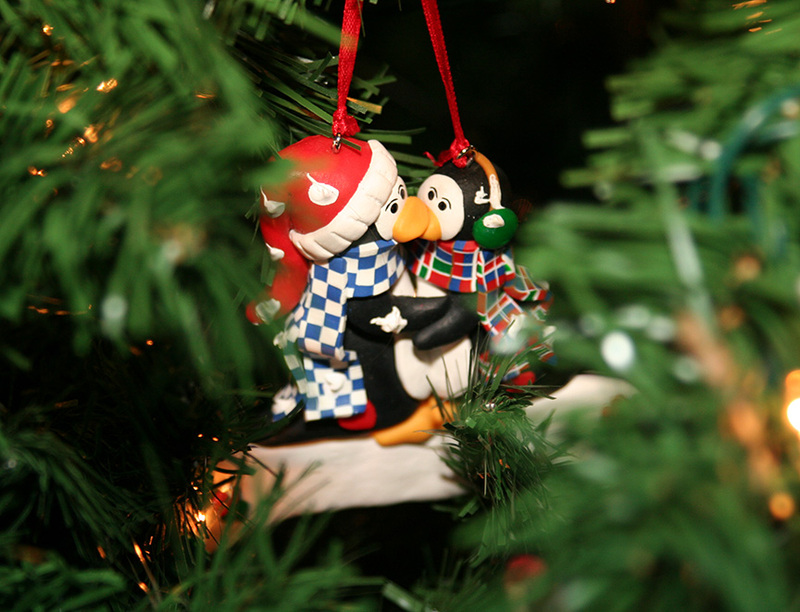 I have one very old penguin that my Grandmother gave to me from her ornament collection – it is too fragile to be on the tree this year with the wild boys. 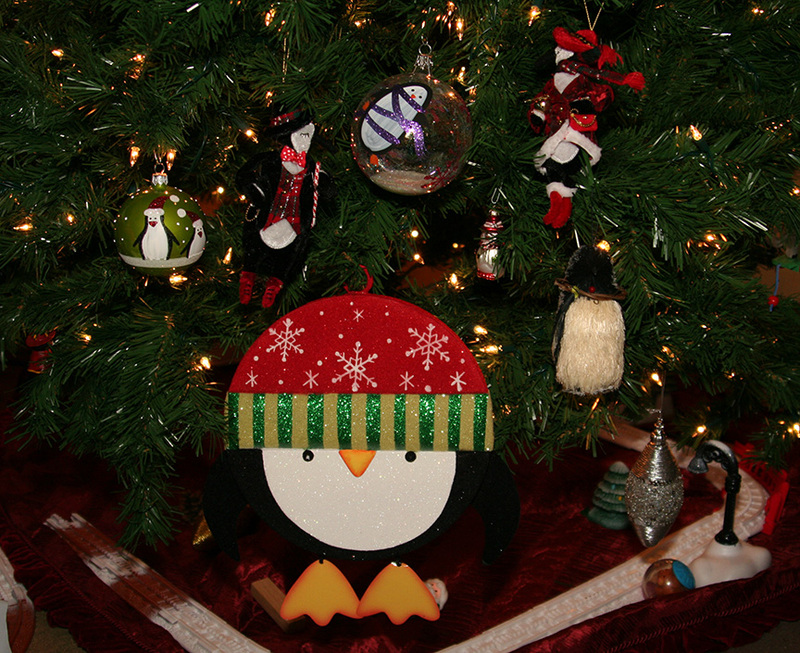 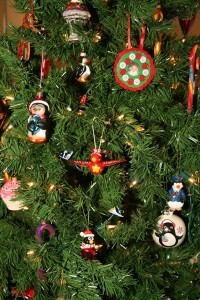 There are 17 penguin ornaments in the pictures below of 2 sections of the tree. 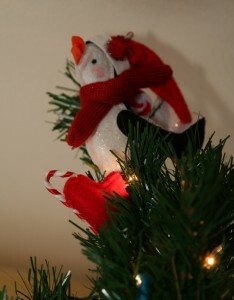 The large skating penguin is new this year and became a non-traditional tree topper. 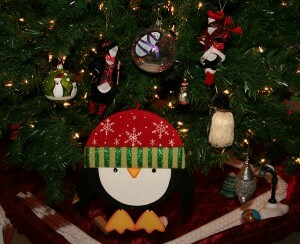 Monday I saw a Pier One commercial and found out that their holiday collection is filled with penguin stuff this year. I went to the store Tuesday morning and although some of the cute ornaments I saw in the commercial were sold out, I was still able to add six more penguins to my collection. The big one at the bottom is hanging out on the mantle and the rest are now nestled amongst the other ornaments higher on the tree. Bad Behavior has blocked 465 access attempts in the last 7 days.